Our Chocolate Hazelnut Cookies are shortlisted for a prestigious Quality Food Award! Asda Extra Special Chocolate Hazelnut Cookies produced by Northumbrian Fine Foods (NFF) has been shortlisted in the 37th Quality Food Awards following a rigorous judging process. The cookies, which are a finalist in the sweet biscuit category, were among thousands of products from across the UK to have taken part in the demanding selection process. Offering the chance to be crowned the best product on grocery shelves, the Quality Food Awards are considered the ultimate endorsement of food products on offer to consumers. And, because each product is put through a rigorously fair judging process by a uniquely prestigious team of over 200 food experts, consumers and entrants can buy their favourite products safe in the knowledge that each winning accreditation is credible and deserved. 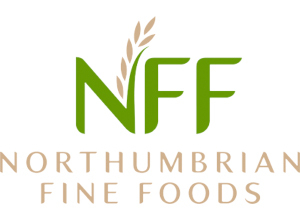 The winners will be announced at an award ceremony at London’s Grosvenor House on 10 November 2016.
https://i0.wp.com/www.northumbrianfinefoods.com/wp-content/uploads/2016/10/quality-awards.jpg?fit=388%2C295&ssl=1 295 388 nff-admin https://www.northumbrianfinefoods.com/wp-content/uploads/2018/08/Northumbiran-Fine-Foods.jpg nff-admin2016-10-06 10:56:142017-06-05 11:52:35Our Chocolate Hazelnut Cookies are shortlisted for a prestigious Quality Food Award!